Software requirements engineering refers to the first phase in development cycle. Many students interested in software engineering or computer science may not realize how many niches there are, and how quickly niches in the field are developing and growing and becoming more complex. If you like to work with computers and are interested in software development, you should become familiar with the different phases of it and the careers that these phases have created. While it seems more intangible and monolithic, software is really no different than any other product produced by a company for profit. Like other complex products, designing software also requires many different steps, requires a specific design process, quality assurance teams, directors, managers, as well as the actual code writers. Software requirement engineering is one of the earliest phases of software development. Only when the requirements are defined, can the actual designing begin. What does “software requirements engineering” mean exactly? While it is an integral phase in software engineering, it is not well understood. Software requirements engineering refers to the first phase, before any of the actual designing, coding, testing, or maintenance takes place. The goal is to create an important early document and process in the software design. Often referred to as software requirements specification, or SRS, it determines what software is produced. It is basically the gathering of information of a customer's or potential customer/target audience's requirements for a system, before any actual design takes place. Software requirements specifications give feedback to the potential customer, break down any problems into smaller parts, and also provide input toward the actual design. The customer will have clear information with the help of charts, flow charts, diagrams and tables to be certain that the software will serve the intended purpose. It will also have the system requirements entailed in the document. Sometimes these are presented together with the customer requirements, and sometimes they are separate. Recording the information in an organized manner helps cement ideas and isolates any potential problems that need to be worked on, before they can interrupt the process or create any problems. The requirements will act as a “parent document” to later plans, such as design specifications or testing and verification. It includes functional requirements, performance requirements, user requirements, input requirements, design requirements, operational and principal requirements, as well as constraints. Only when the requirements are defined, can the actual designing begin. Employers in the field often require a four-year degree to be considered qualified. Why is it so important? Like all products, the makers of software are seeking to produce the best product in the most cost-efficient manner. If software errors are found in the requirements phase, they are much, much less expensive to fix than if they are found in later phases of the development process. For systems regarding safety, the errors in requirements could potentially be even more harmful than just losing money. How can one work in Software Requirements Engineering? Many people can break into the field of computer science with differing levels of education and excellent computer skills. One can earn only a two-year associate degree in computer science and gain employment at a job that can potentially garner plenty of work experience in software development and requirements engineering. 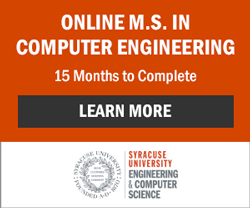 [Find a Computer Science program in your state or online] Expert computer skills can take you far in the field, but most employers in the field require a four-year degree to be considered qualified. For a job working with software requirements, it is often best to pursue a bachelor's degree in information technology, computer science, or perhaps a related field such as mathematics or business, along with additional computer science courses to ensure that your programming skills are current. Many bachelor's programs in computer systems and software engineering cover software requirements. Some schools offer master's level courses in requirements as part of certificate programs, and they can often be applied toward a degree later. While getting some work experience in the field may help you break into this area, any additional educational courses at the graduate or master's level can help in advancement to higher level positions.